After writing the above post on the shamanic shrine that was destroyed in Seongsan Village, an act which left Jeju Island’s famed women divers without a sanctuary in which to pray, I come across yet another disappeared shrine. Like in Seongsan Village, developers, ignoring local sentiment, proceed to dominate the landscape on their own terms. Looking over the halted Berjaya Resort Complex in Yerae Village. Yerae is without a doubt one of the most beautiful coastal areas in Jeju. Below a slope of mountain woodlands unfurls a broad expanse of basalt beach, what locals call billae. The village itself is nestled snuggly in the hills overlooking an endless expanse of southern sea. I was able to visit several shrines during this visit, guided by the son of the woman who had been Yerae’s last traditional shaman. 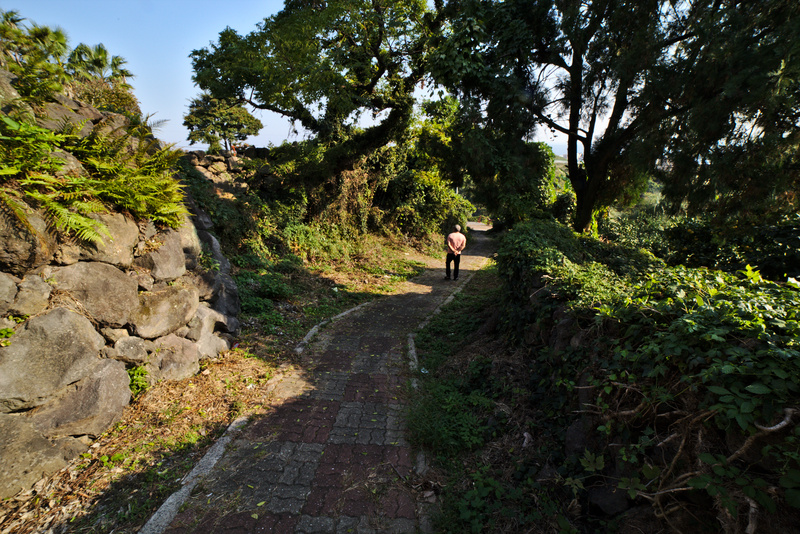 Traditional shaman, called shimbang, amongst other duties, proceed over shrine ceremonies in each of Jeju’s villages. These ceremonies are attended annually by women and town officials in order to appeal to tutelary deities who are believed to ensure wellbeing for the village. In cases such as Yerae, where the last traditional shaman has died without a successor, locals typically continue to attend shrines on their own to leave offerings and seek quiet council from the gods. Shrines are important sacred areas that provide both social cohesion for the village and individual tranquility. Residents attend shrine ceremonies annually. They also visit shrines individually. Yerae was recently embroiled in conflict when Korean courts ruled against a development project that is already partially built. This is no small development, but a tourist complex selling itself as a naturalistic village, that involves hundreds of structures, including high-rises and a network of bungalows that currently sprawl half-finished over the landscape. My last post on the destruction of a shrine in Seongsan Village was published in Korean in the online paper Jeju Sori under the name ‘The Irony of the Women Divers’ Image’, referring to the fact that local establishments catering to tourists in the village employ the divers’ image, yet failed to preserve the shrine where they worship. I have to note the irony of the abandoned Berjaya project in Yerae, with its aim of providing the visitor with an experience of ‘healing’. 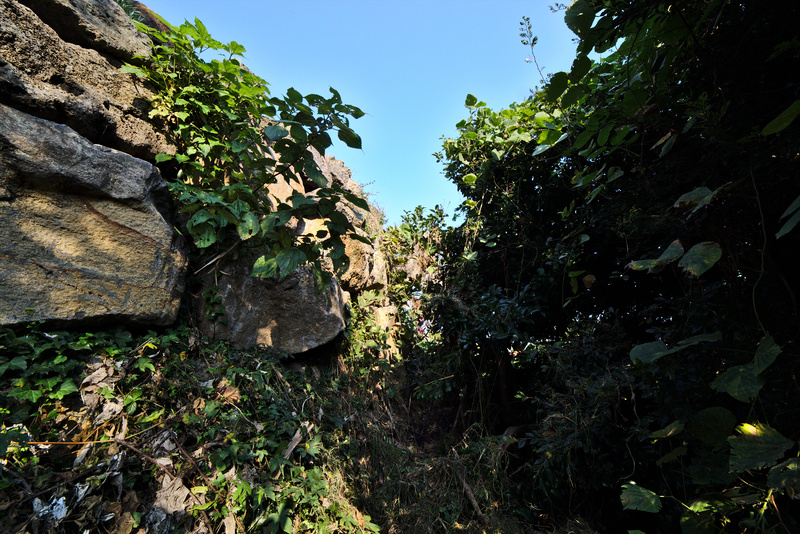 During the process, the developers of the project managed to destroy the epicenter of the village’s natural healing, its traditional shrine, along with a several hundred year old holy tree. Villagers, including divers, have performed rites, including the Unesco designated Youngdeung Ceremony, in the area for centuries. The area in which the shrine (considered to be the village’s most important) once stood, is now occupied by one of the two structures visible south of the bridge. Annual ceremonies to the Youngdeung gods were held where these units of the tourism complex now stand. This past summer, construction of the Berjaya Resort Complex, in fact, its six sub-divisions ( Wild Village, Nature Village, Culture Park, Festival Village, Resting Village, and Fantasy Village) came to a halt when the project was ruled against in Korea’s courts. 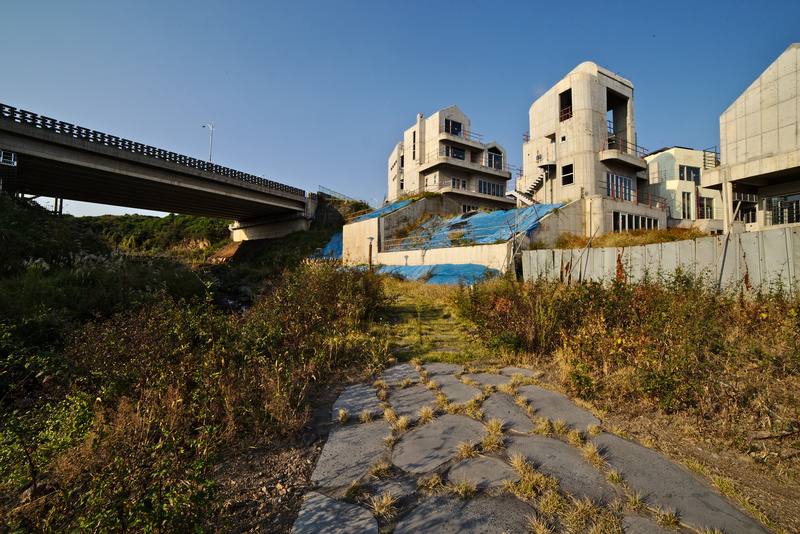 Business Korea reported on the halting of the development last year under the header ‘Potential Disaster’. 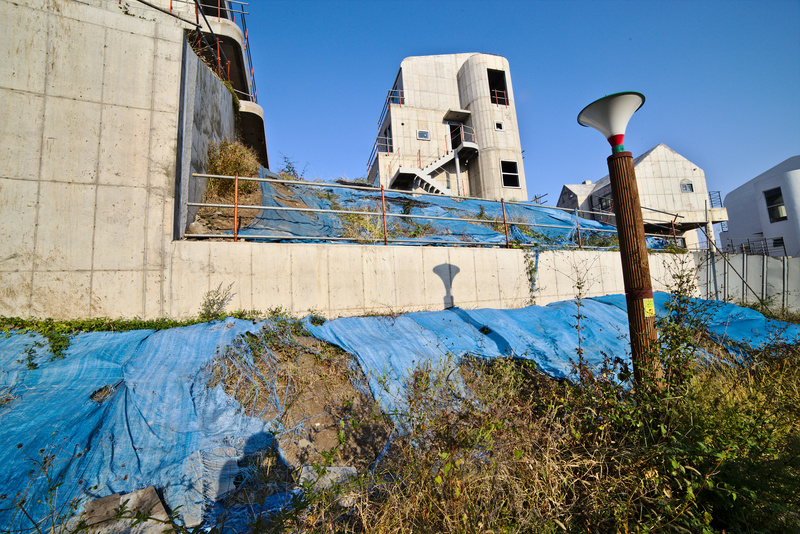 The article states, as of July 2015, that the JDC (Jeju Development Cooperation) and local government had kept silent about the ruling, but the rumors I have heard suggest that such development in the area, once designated as an Eco-village, was illegal. Below is a screen grab of an artist’s rendition of the project from that publication. “On March 30, the Supreme Court of Korea overturned the decision for land expropriation during final appellate proceedings, as land owners filed against the JDC’s project and requested the cancellation of construction. Although BJR continued the construction for 4 months after the ruling, it financially decided that it no longer has any meaning and pulled out. 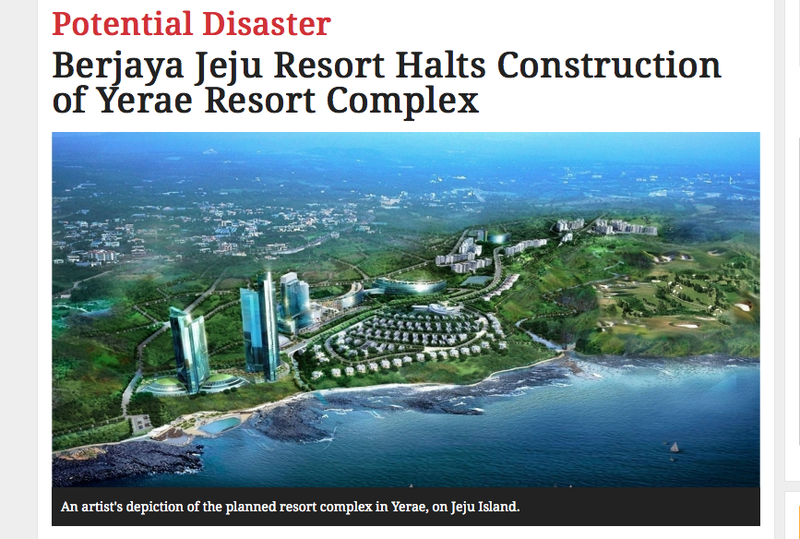 It’s a shame that projects like the Yerae resort have to leave so much pain in their wake. The removal of such a shrine, which took up very little space, perhaps less space that a single unit in the complex of several hundred, is a desanctification of the landscape. Nature, Culture, Festival; terms used in the literature on the project–these are all words that are associated with shamanic shrines. 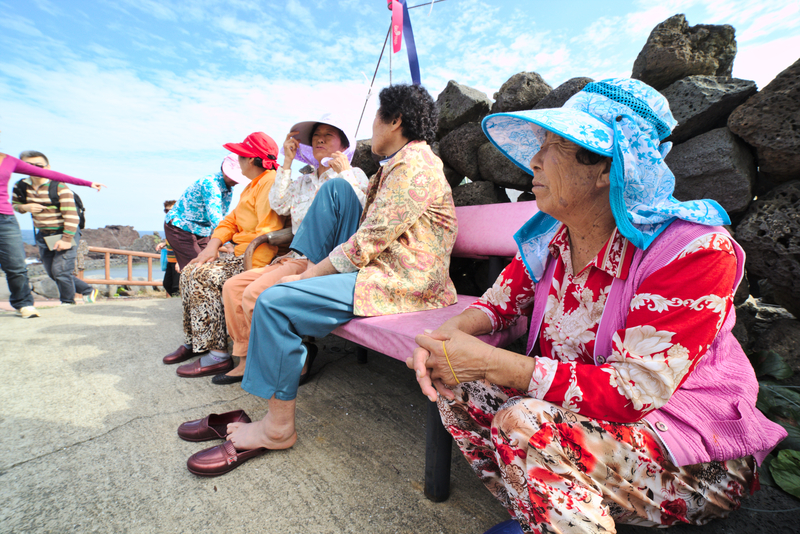 I see no reason why tourism development can’t move forward in a manner that is harmonious with Jeju’s traditions. 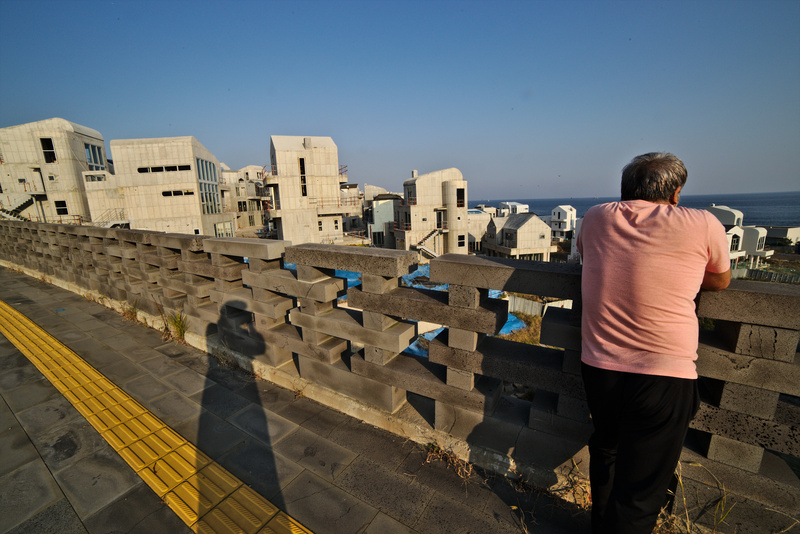 The disregard shown to these cultural assets and to Jeju’s traditional villagers is reflective of an attitude that has long been assumed by outsiders to the island and those who have harbored prejudices against the island’s native religious practices. The shrine under the halted Berjaya Tourism Complex isn’t the only shrine that has been threatened in the village. Several years ago, another village shrine, this shrine in the upper village, was partially removed, including the main trunk of its holy tree cut by laborers working for a pension whose yard extends over a natural abutment over the shrine. It seems the tree was removed to give vacationers a better ocean view. Walking out onto the yard myself, I would judge the tree had probably blocked about 5% of that view at most. The act was hardly reasonable. 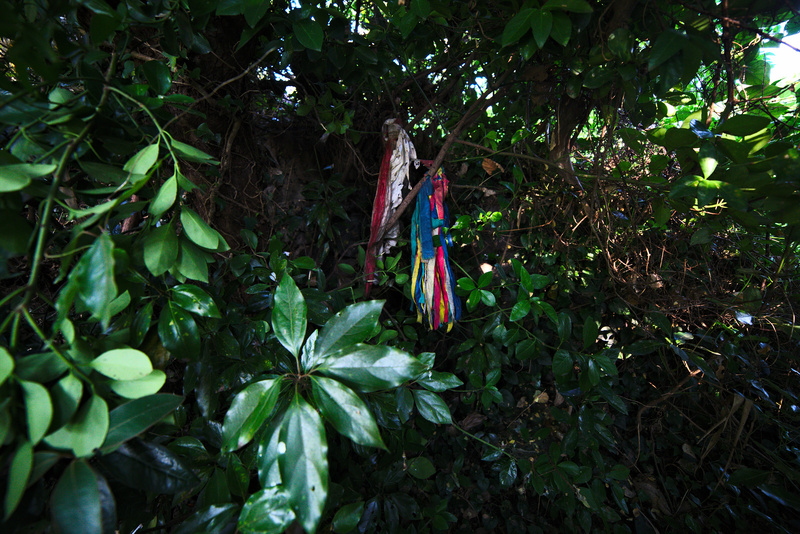 Part of the tree has continued to flourish and villagers still leave cloth and food offerings, yet must make their visit with knowledge of the affront looming over the area. The pension owners are, of course, not natives of the region. The severed trunk of a holy tree can be seen (photo center). Controversy erupted in the village when business owners had it cut. 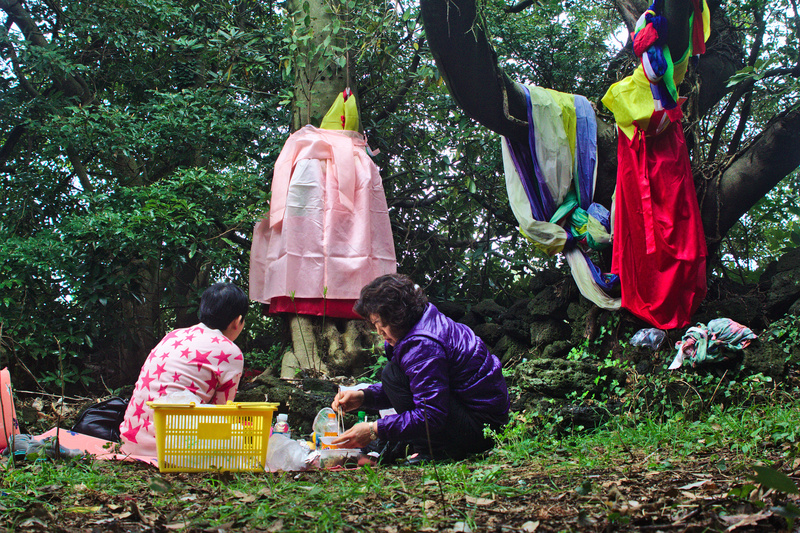 Villagers leave offerings at the base of a holy tree (신목). Several years ago the main trunk of the tree was severed. To my knowledge there are seven shrines that have been desecrated, destroyed or damaged on Jeju Island, mostly during the last two years. How many others are there in outlying areas of the island I can’t say. I do know that each of these shrines was still being used by local residents, who worship, amongst other deities, their own ancestral gods at the altars therein. It seems little attention is being given by developers to these ancestral sites.